Achieving a healthy weight is about more than aesthetics; it’s about your health. But many people in our home state of Oklahoma are obese -- one in every three adults. If you’re in that group, we want to help you attain your ideal weight this year to reduce your risk of chronic disease, boost your energy and mood, and live the healthiest life possible. Here at Grassroots Healthcare, we help you create a weight management program that’s customized to fit your schedule, tastes, metabolism, and goals. Commit yourself to doing what it takes to achieve a healthy weight this year. Sometimes people want to lose weight to look good for another person or for a special event or vacation. You may follow a fad diet or work really hard to lose weight, but as soon as the “reason” for your loss is over, you regain weight. But weight loss that’s pursued for you and for your personal health goals is often more maintainable. Achieving your ideal weight has a number of advantages. At a healthy weight, you have less risk of heart disease, diabetes, and many cancers. You’re also less likely to develop sleep apnea, asthma, and infertility. If you’re on medications to control your blood sugar or blood pressure, losing weight can sometimes bring you to a place where these are no longer necessary. Most adults gain about one pound per year between the ages of 18 and 49. This is often due to the quality and quantity of foods eaten on a regular basis. Other lifestyle choices, such as being sedentary, further contribute to the pounds adding up. Poor sleep can also contribute to weight gain by interfering with the balance of your hunger hormones. And, of course, some people are genetically more likely to gain weight in certain areas or in general. But having a genetic predisposition to weight gain doesn’t mean you can’t avoid it with good habits. We offer a variety of weight management plans because one is not right for every person. After gathering your medical history and doing a physical exam, the Grassroots Providers get a better idea of what type of plan will work best for you. We also consult with you about your preferences, your schedule, and any limitations you have. We may recommend any one of a variety of strategies for your weight loss journey. A keto diet restricts your carbohydrate intake so your body burns more of your fat stores for fuel. You focus on eating mostly fats and proteins. We often will couple this with a sugar free detox, intermittent fasting, and if diesired, appetite suppressants to get you into ketosis, where you will produce your own natural appetite suppressants. The HCG diet involves injections of this hormone that’s usually produced with pregnancy to help reset your metabolism so you can lose as much as a pound per day. We supervise you as you follow the very low-calorie diet that accompanies the injections. With a sugar-free detox, Grassroots providers can help free you of a sugar addiction that prevents you from choosing healthy, nutritious foods. 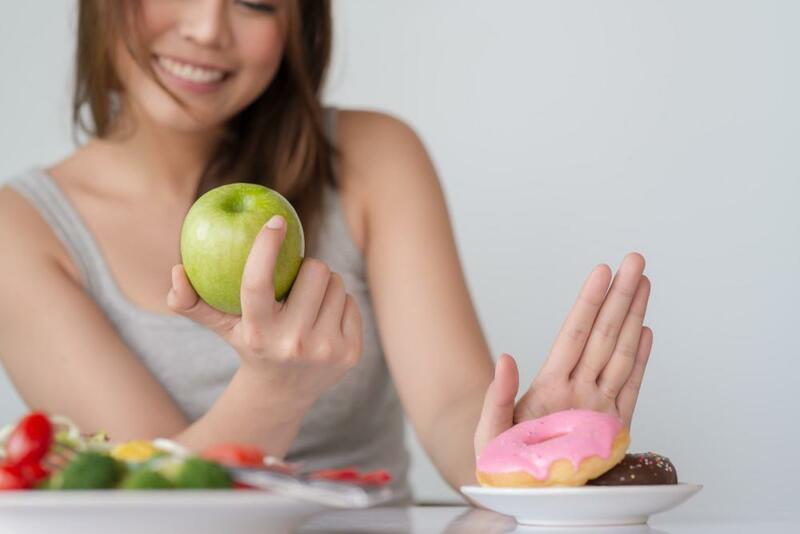 The natural anti-inflammatory state that comes with giving up sugar reduces depression, concentration and sleep deficit, as well as the typical inflammatory muscular aches and pains and fatigue that come with high carbohydrate and highly processed foods. We’re here to help you overcome setbacks, celebrate victories, and maintain your healthy weight for the long term. This type of moral support and accountability makes it easier to stick to your weight management plan. You may also receive medications to fight hunger, which can get the better of you as you drop pounds. Plus, we can provide vitamin B-12 injections to potentially boost your metabolism throughout the weight loss process. Don’t live another year unhappy with your weight. Achieve your goals in 2019 with the help of Grassroots Healthcare. Call our office in Tulsa or click the “book online” button to schedule your consultation. Did you know that depression takes a significant toll on your body? And those who complain of physical symptoms have a significantly higher risk of being depressed? Learn more about how depression can harm your health and what you can do about it.